At the Grand Palais, under the arches of his replica Eiffel Tower, Karl Lagerfeld was honored to receive the Grand Vermeil medal from Anne Hidalgo, the Mayor of Paris. The medal, the highest distinction awarded by the City of Paris, recognizes his creations and his influence in fostering the reputation of Parisian fashion worldwide. 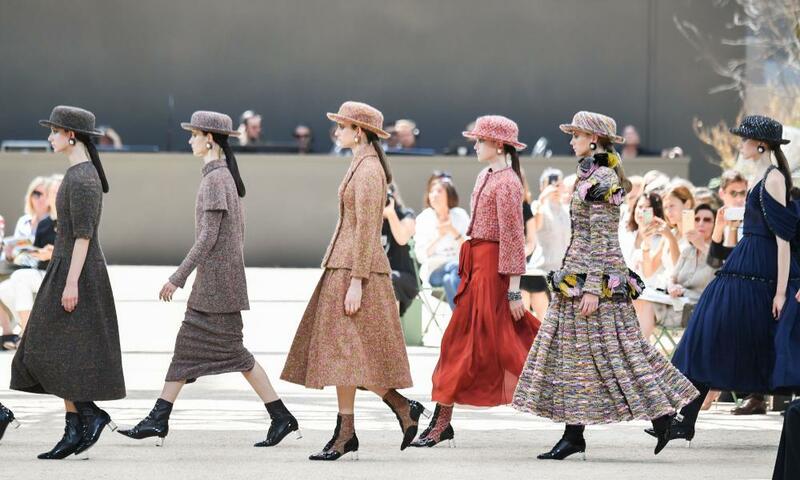 Spectacle comes as standard at a Chanel fashion show – last season models circled a lifesize replica of a space rocket in lift-off – but Tuesday’s autumn/winter 2017 haute couture presentation was a lot to take in, even by Karl Lagerfeld’s standards. 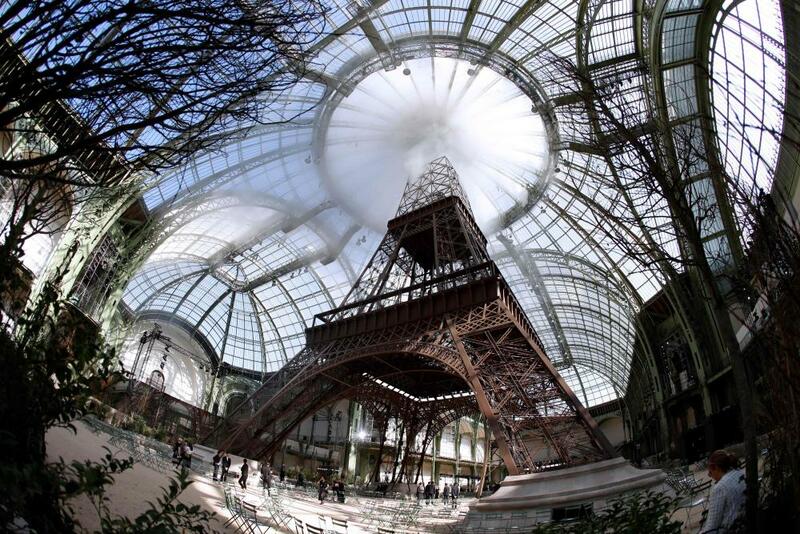 The set was typically impressive: a recreation of the Eiffel Tower built within the Grand Palais. Guests sat on metal chairs and were dwarfed by the structure; the tower’s curlicues and lattices echoed the iron spokes and glasswork of the cavernous hallway. The clothes were as Parisian, and almost as recognisable, as that famous monument. 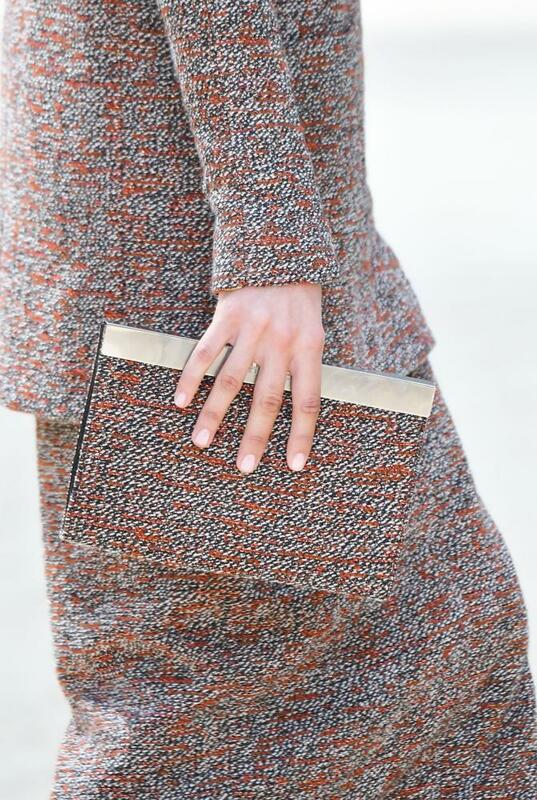 The classic Chanelisms were all deployed: there was tweed for miles, used for stone-coloured, ankle-length dress coats with theatrically puffed-out arms, midnight blue twinsets with hooded jackets and grey culotte jumpsuits paired with matching thigh-length jackets. This was a greatest hits tour, but the proportions – and the tight, thigh-high black patent boots with clear perspex heels – gave the collection a modern edge. 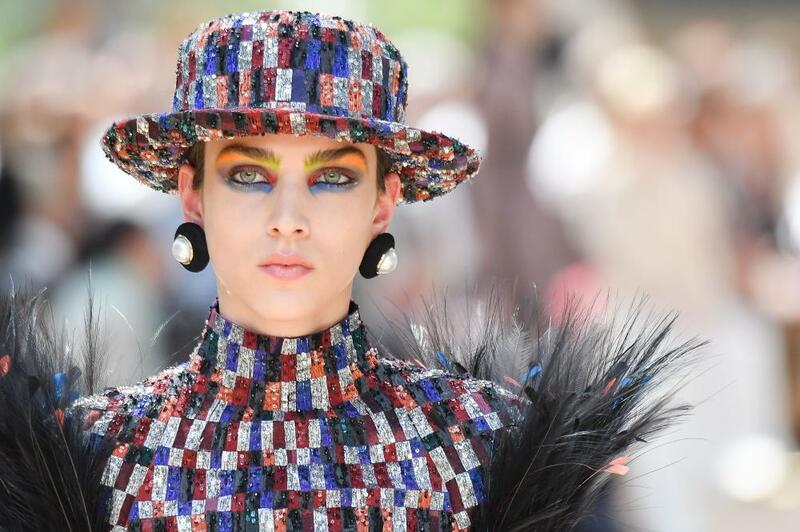 The styling was very Coco: the models wore the designer’s signature boater hat – though fashioned from tweed and sequins rather than straw – and gobstopper-size pearl stud earrings rimmed with tweed. Midway through the collection the tweed suits became more complex: they were adorned with crystals, or sprouted multicoloured feathered rosettes at the arms and hems. Next came a procession of black evening gowns with dramatic skirts and shimmering straps, and a preponderance of cocoon shapes and 60s-influenced shifts. The show closed with a “bride” whose cream, feather-trimmed A-line dress crescendoed into a skirt so voluminous that as she walked it swung like a bell. 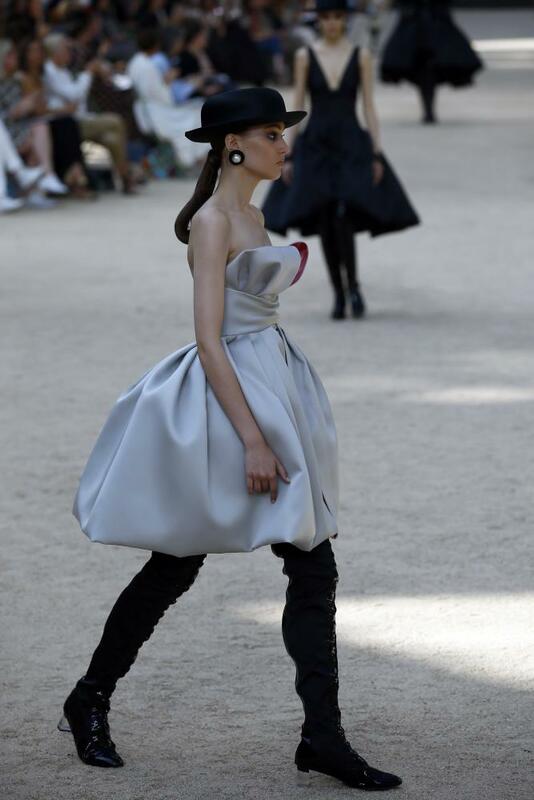 Despite the finery, the real focal point was not the venue, or even the clothes, but Kaiser Karl – as he is known in the trade – who took to the runway at the end to be awarded Paris’s highest honour, the Grand Vermeil medal, by the city’s mayor, Anne Hidalgo. Guests crowded around the pair with their iPhones aloft in a surreal scrum in which Tilda Swinton, Katy Perry, Cara Delevingne, Kristen Stewart, Claudia Schiffer, Julianne Moore and Mario Testino could be seen jostling and whooping and straining on their tiptoes to get a better shot. The atmosphere of giddy bonhomie was tempered only slightly by the ring of security guards in dark suits who formed a human wall in front of the proportion of onlookers considered to be civilians – a difficult distinction to make with a crowd this well-dressed. This was a barrier that, for many minutes, Chanel muses Stella Tennant and Carine Roitfeld found themselves unexpectedly on the wrong side. The Frenchness of the optics was no accident: in October, Hidalgo hosted a breakfast to appeal to the fashion industry for help in combating dwindling tourism to the city. The trend for big brands to present collections away from the capital – in locations such as Cuba and Shanghai – was presented as an issue to be tackled. Since then, Chanel has shown its collections close to home, and today the brand – and the city – got their reward.